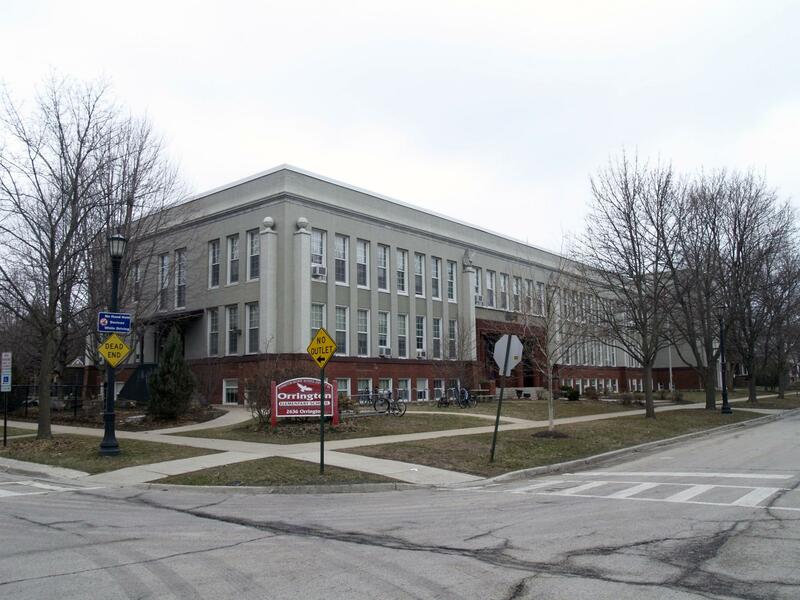 Criteria: A4: Exhibit a high quality of architectural design without regard to the time built or historic associations; A5: Exemplify the work of a nationally or internationally known architect, or major local architect or master builder; A6: A9: Be selected for inclusion on the 1972 Illinois Historic Structures Survey. Details: Classical terra cotta entry and window surrounds, dentil moldings. 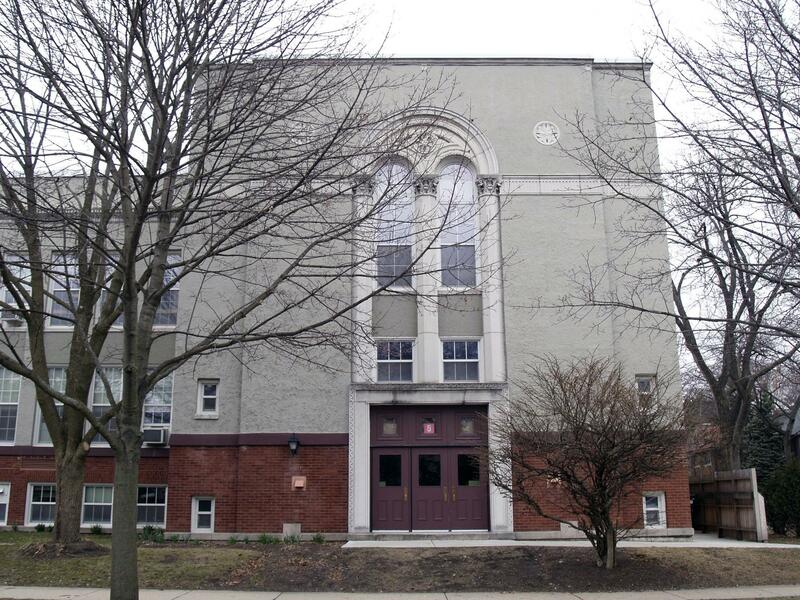 Historic Features: Classical entry loggia with fluted columns and capitals in red terra cotta, corner piers topped with ornament; raised red brick basement level; arched windows with engaged Corinthian capitals at gymnasium and auditorium. Alterations: Small rear addition, replacement windows and doors. 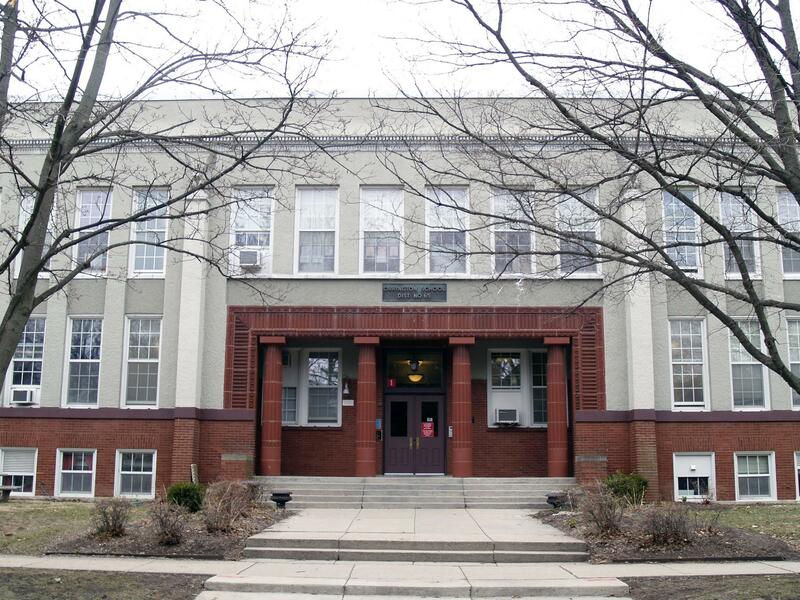 Exterior Alteration Permits: BP#20143, 1931.04.28, 2 sty add to school, $85,000 ARCH Childs & Smith, Orrington School, Dist. 75-OWN.